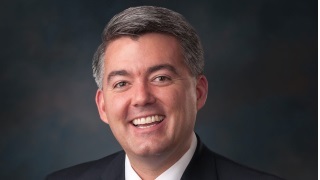 Senator Cory Gardner is a fifth-generation Coloradan who was born and raised in Yuma, a small town on the Eastern Plains of Colorado where his family has owned a farm implement dealership for over a century. Cory was elected to the United States Senate in 2014 and is a member of the Senate Energy & Natural Resources Committee, the Foreign Relations Committee, the Commerce, Science, and Transportation Committee, and the Budget Committee. He also serves as Chairman of the Subcommittee on East Asia, the Pacific, and International Cybersecurity Policy and the Energy Subcommittee.